Our resort in Orlando near Disney World with motorcoach parking boasts 475 spacious rooms on more than 24 acres. With easy access to Orlando’s best attractions, a stay at Maingate Lakeside Resort is the perfect way to experience Central Florida. Walk to nearby shops, restaurants, and more. The accommodations at Maingate Lakeside Resort offer two double or one king bed, with amenities such as mini-refrigerator, coffee maker, hairdryer, and in-room safe. 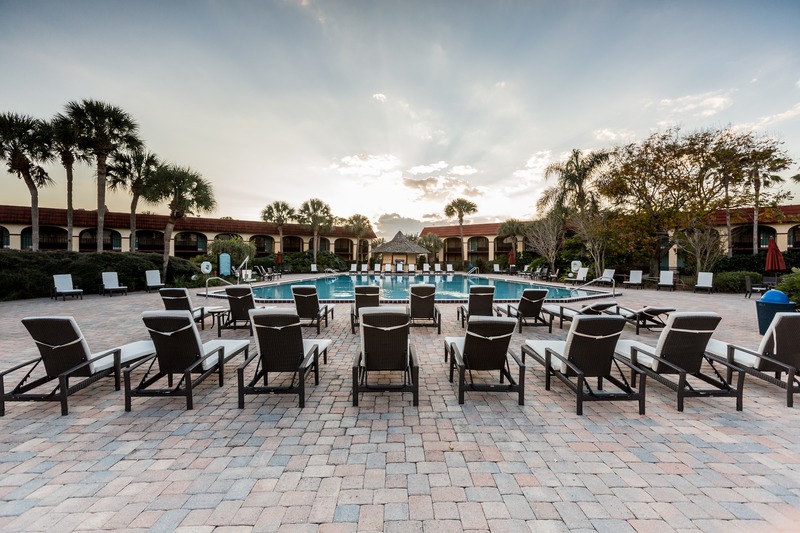 Other amenities at our bus group hotel in Kissimmee include three pools (heated seasonally), two kiddie pools, two half-court basketball courts, game room, laundry facilities, and plenty to add to your comfort. Our professional sales staff can make your motorcoach/bus group experience the best ever by planning every detail. From handing out prepaid breakfast vouchers to pizza pool parties, barbecues and themed dinners in our 3,200 square feet of meeting space, the expert event planners at Maingate Lakeside Resort will ensure your group’s needs are met. In appreciation of your motorcoach/bus business, we have special rates just for your bus drivers. Maingate Lakeside Resort is the essential choice for your Orlando hotel motorcoach parking.